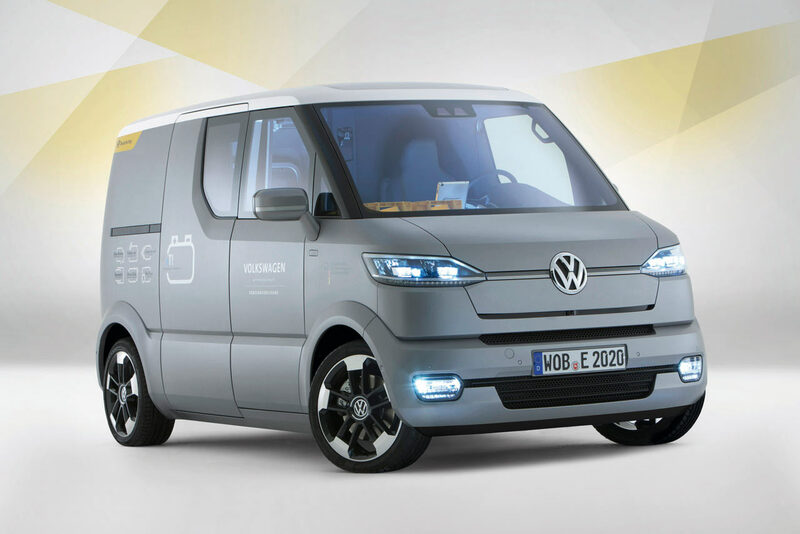 The German Automaker Volkswagen has partnered with the German Post Office and the University of Art at Braunschweig to create the eT! electric delivery van. The eT! research vehicle could someday actually revolutionise the world of lightweight commercial vehicles. Completely reconceptualised, driven with zero emissions, thought through to the last detail and driving semi-automatically if necessary! Just how wide-ranging the significance of this research project could be for sustainability in the transportation field is underscored by the support for the eT! project by the German Federal Ministry for the Environment, Nature Conservation and Nuclear Safety. To make the working world of mail delivery personnel and courier drivers simpler and safer, to optimise the logistics of delivery and to shorten delivery times, eT! can be operated semiautomatically in certain situations. The car can follow the delivery person from house to house ("Follow me"), or the car can return to the delivery person on command ("Come to me"), what looks absolutely unreal! As an alternative, the driver can direct the car's movements via a 'drive stick' from the passenger's side that also offers a standing seat and quick access to the vehicle. On the passenger's side – the side that faces the sidewalk and therefore the working area of the delivery person – there is therefore an electrically opening sliding door that opens to 2 different stages; this enables extremely quick entry into the vehicle as well as quick access to the mail parcels.